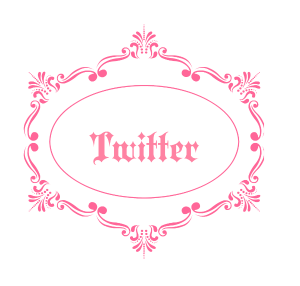 Hi everyone so I found this book tag: Classics Book Tag which is originally created by It’s A Books World. As a fan of classic literature I thought this would be a fun tag to do. So let’s get started…..
An overhyped classic you didn’t really like. I always use Catcher in the Rye for my answers but to change it a bit, I’m going to say Anna Karenina by Leo Tolstoy. Can I just say this book was boring—I don’t get the love for this book. Sure Anna Karenina was portrayed as a victim of her society at that time, but I don’t really care. I didn’t like it; and the length of the book was unnecessary. Darn. Growing up fairy tales were my favorites to read, so it’s difficult to just pick one. (Truthfully, I hate these “favorite” questions) Most of my favorite fairy tales would probably be tales written by the Grimm Brothers such as Cinderella, Snow White, Sleeping Beauty, Rumpelstiltskin, etc…. Honestly I don’t think it’s embarrassing that I haven’t read a particular classic book, but I hate admitting that I haven’t read The Great Gatsby because I’ve met people who will give you “that look” and say “Oh my gosh why haven’t you read it? !” Even my friends who don’t read have read this book because it was required reading for their English curriculum. I was assigned Of Mice and Men at that time. Don’t worry I will read it! I have the book, but I just haven’t been in the mood to read it. Okay I actually started reading this book, but it’s taking me too long to finish it. 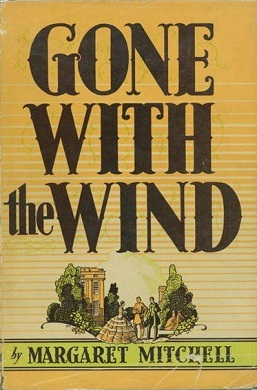 This is one of the top classic books that I’ve been wanting to read. Note: I own all these five books, hence, I listed them as the first five classics I want to read soon; therefore, this may be subjected to change. While it’s only loosely-based on Jane Austen’s Emma, I absolutely adore this movie. I think I’ve watched this movie at least 20 times. Favourite movie version/tv-series based on a classic. Worst classic to movie adaptation. Great Expectations is the one that comes to mind first. I believe it’s the one with Gwyneth Paltrow and Ethan Hawke. There’s probably others, but this one was such a disappointment. Favourite edition(s) you would like to collect more classics from. These Barnes and Noble leatherbound classic editions are just too gorgeous. If not these, the Penguin Classics Limited edition are also very pretty. 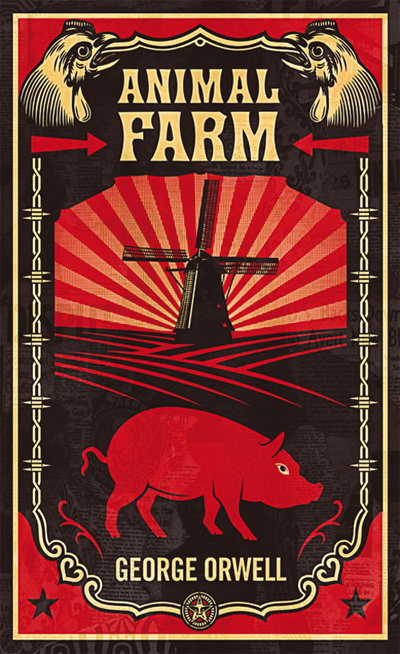 While George Orwell is known the great 1984, I think Animal Farm is just as great. Others may beg to differ when it comes to considering Animal Farm being underhyped, but when you say Orwell, everyone automatically thinks of 1984. 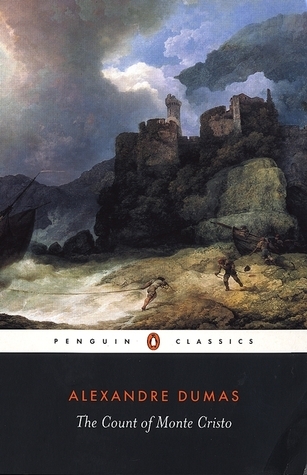 As for tagging other bloggers, I’ll tag those who to my knowledge are readers of classic literature. If I was wrong in my assumption then you can totally ignore this tag. And for anyone else who I might have missed, and wants to do this tag then, I tag you as well! To be honest, I liked Of Mice and Men probably more than I liked The Great Gatsby, but I am a Steinbeck fan. (; However, the 20s is definitely a cool decade and the characters in Gatsby are so flawed but iconic, too. Hope you like it when you get to read it, Erika! I think Clueless is the best modern adaptation of a classic out there. It’s a fantastic use of Emma, such a good translation of the ideas in the book to the 1990s. The other one I always remember is Ten Things I Hate About You which did wonders with The Taming of the Shrew. Yes Ten Things I Hate About You was great as well! It’s also another favorite of mine. I feel the same way with The Great Gatsby! Thank you! You’re welcome to do the tag! Ooo this is a fun tag. Loved reading your answers, and thanks for tagging me! Also, totally forgot to mention that I loved you mentioned Clueless. That movie is so great! Great post! 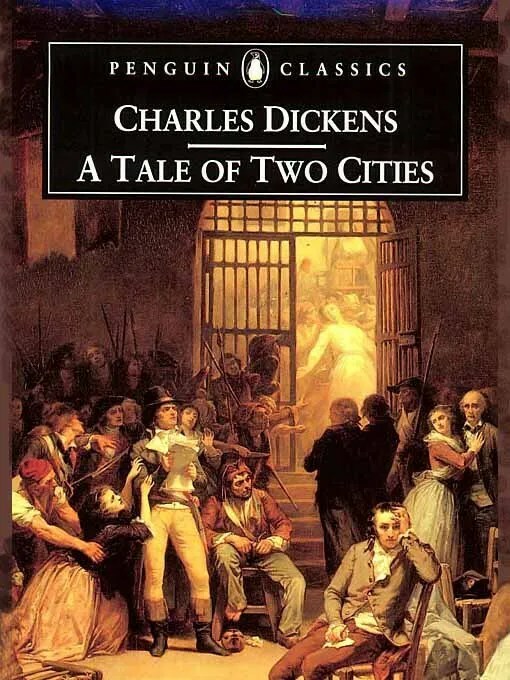 Definitely read The Scarlet Letter; I very much enjoyed it…A Tale of Two Cities on the other hand I didn’t love (granted, I only read different chapters in school not the whole thing). I’ve never read Animal Farm, but everyone tells me I should! Also the P and P movie is my favorite!!! I adore that version!